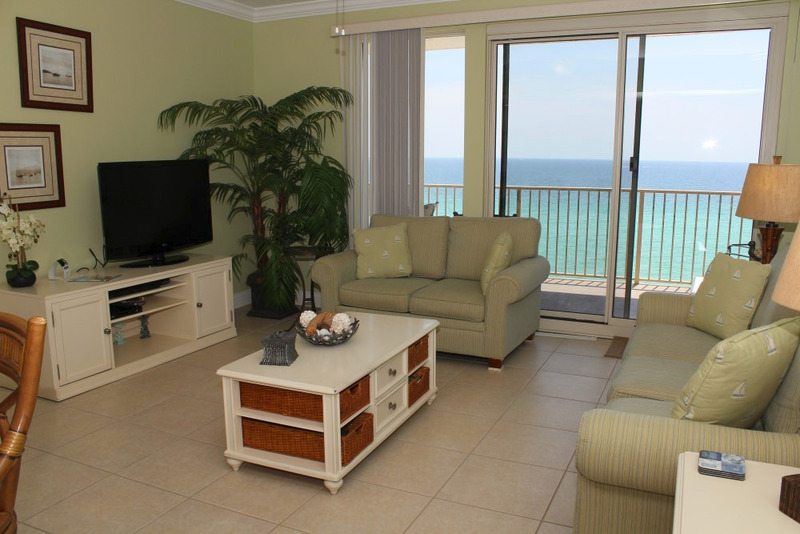 Treasure Island's Luxury Condo offers guests the best of the best in Panama City Beach. 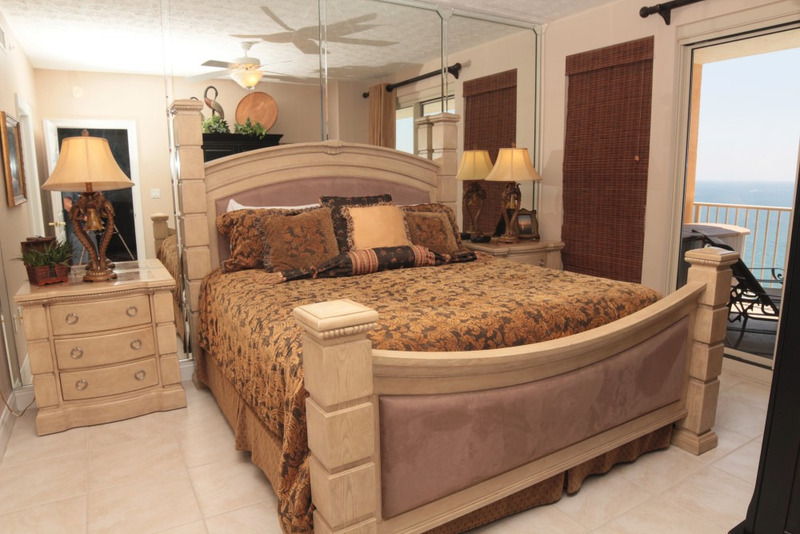 These units offer the top of the line quality and comfort you are looking for your vacation get away. 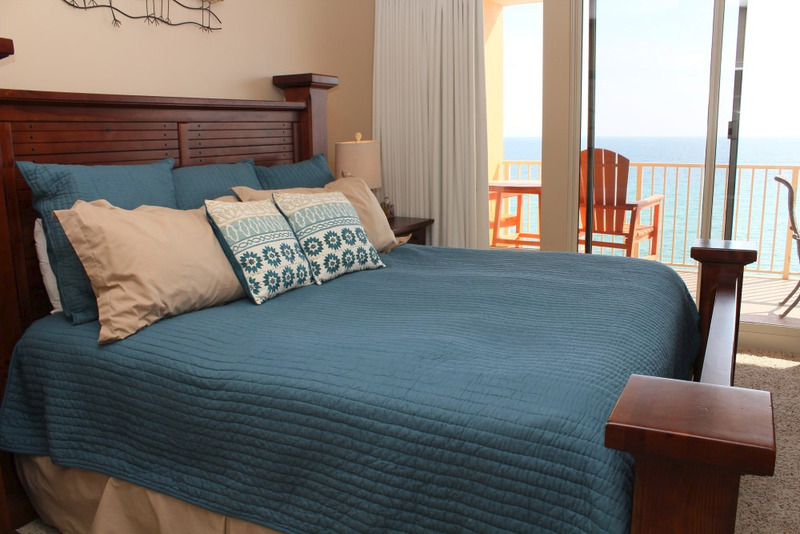 Each of our Luxury units guests are provided complimentary beach chair service, a welcome care package, and promotional opportunities (when applicable). 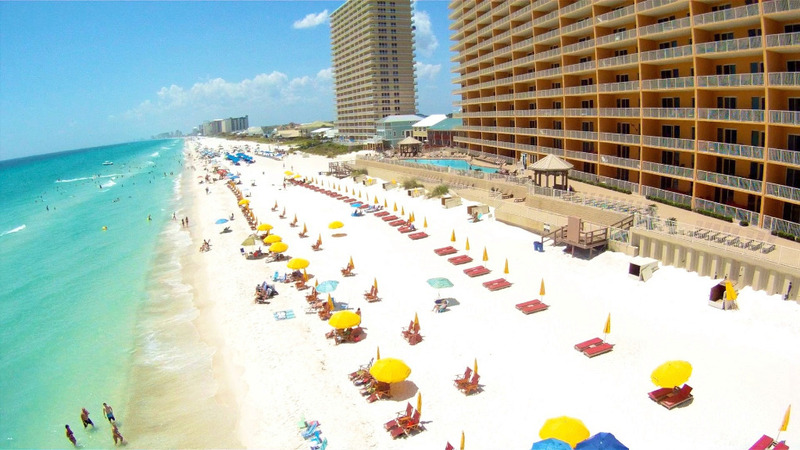 Take Route 231 South to Highway 98, from there; travel West on Highway 98 to the Hathaway Bridge in Panama City Beach. Once over the Hathaway Bridge, turn left on Thomas Drive and continue for approximately 3 miles. Make a slight right turn at the curve, and Treasure Island Condominium Resort is on the left at 5004 Thomas Drive. Take Highway 98 East which turns into Back Beach Road once you enter Bay County. Follow it down to the Thomas Drive exit just before the Hathaway Bridge. Continue for approximately 3 miles. Make a slight right turn at the curve, and Treasure Island Condominium Resort is on the left at 5004 Thomas Drive. 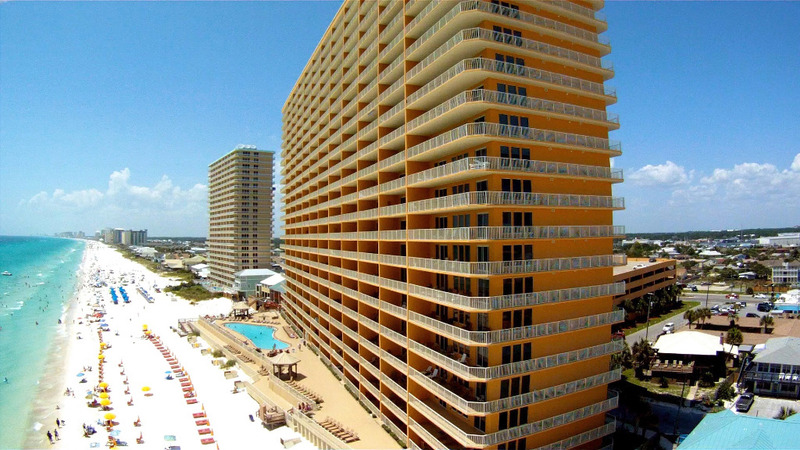 Take Interstate 10 West to Route 231 South to Highway 98 East into Panama City Beach. Once over the Hathaway Bridge, turn left on Thomas Drive and continue for approximately 3 miles. Make a slight right turn at the curve, and Treasure Island Condominium Resort is on the left at 5004 Thomas Drive. Treasure Island is like no other. Placed on the beach at the slightest angle on the famous Thomas Drive, it offers an absolute unique, unobstructed view of the coastline as far as your eyes can see without giving up the beautiful view of the beach. 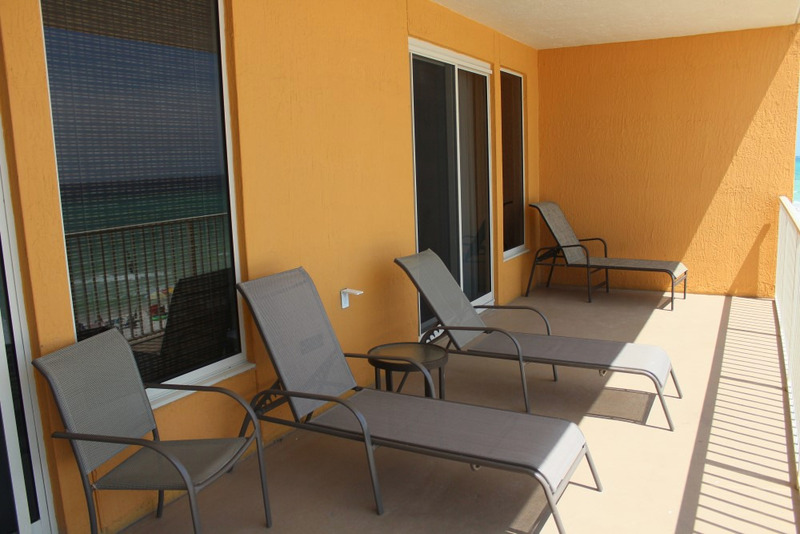 No leaning over the balcony to see the entire length of the beach, it is right in front of you! 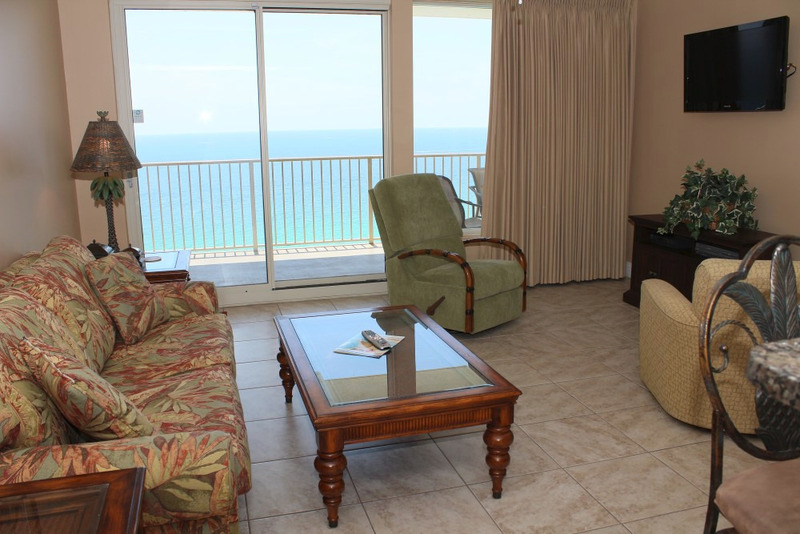 From the rear of this resort vacation condominium is a breathtaking view of the famous St. Andrews Natural Preserve Park, and the inspiring St. Andrews Bay. Watch the fishing fleet and ships come in, right from your walkway. 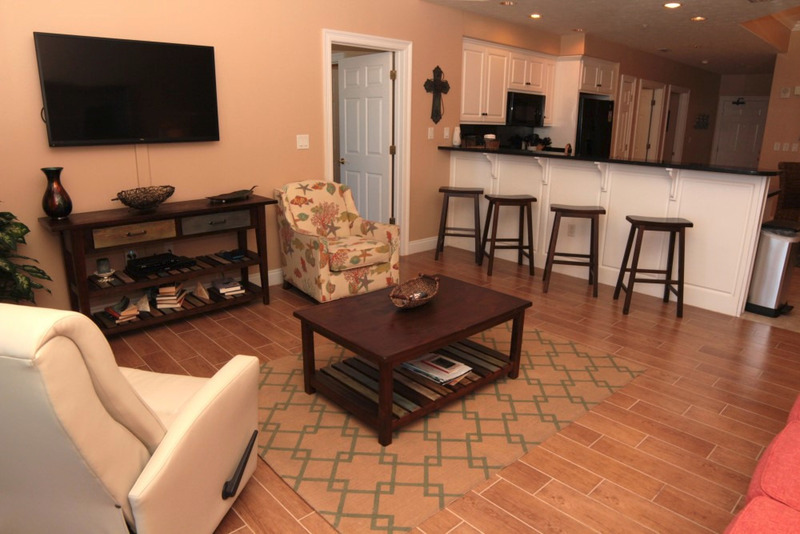 Treasure Island Vacation Rentals is one of the newest in Panama City Beach and offers stunning 2 bedroom/2 bathroom and 3 bedroom/2 bathroom units. 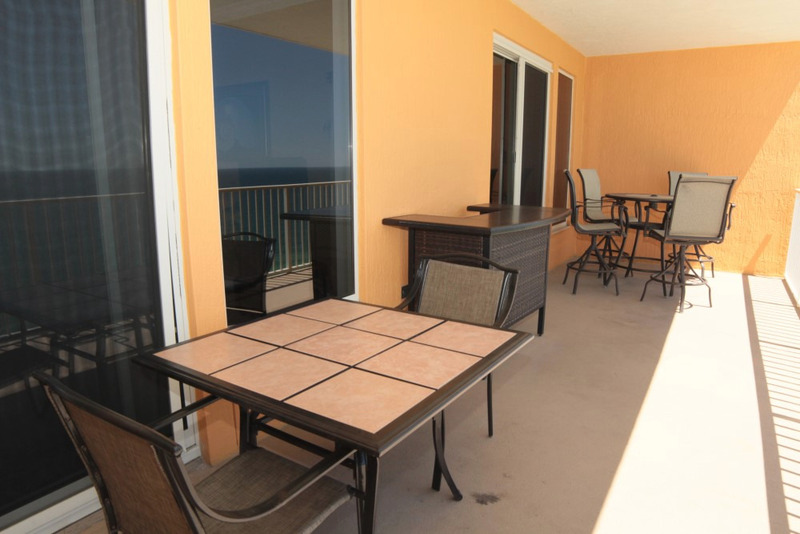 All Vacation Condos are Gulf–front, and each features a private balcony for enjoying the panoramic views and legendary sunsets. 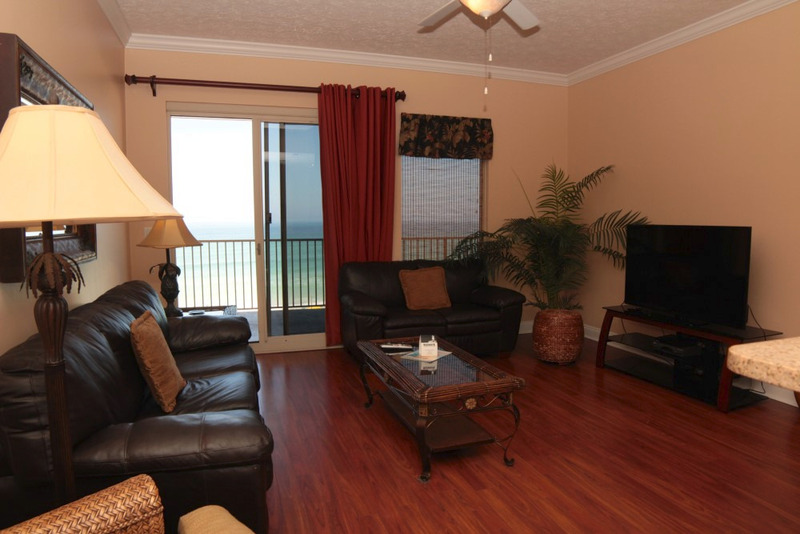 Our Panama City Condo Rentals are spacious and beautifully furnished, and come complete with all the comforts of home. 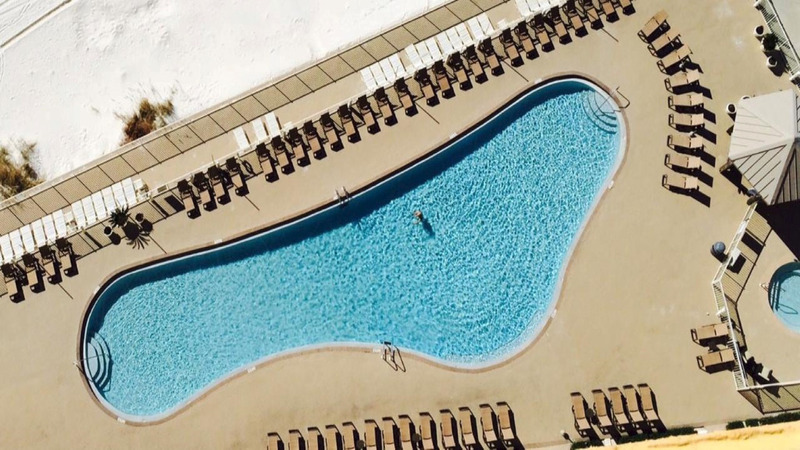 Resort amenities include a large seasonally–heated swimming pool, a dune walkover, state–of–the–art fitness center, owner’s lounge, hot tub, gazebo and a covered parking garage. 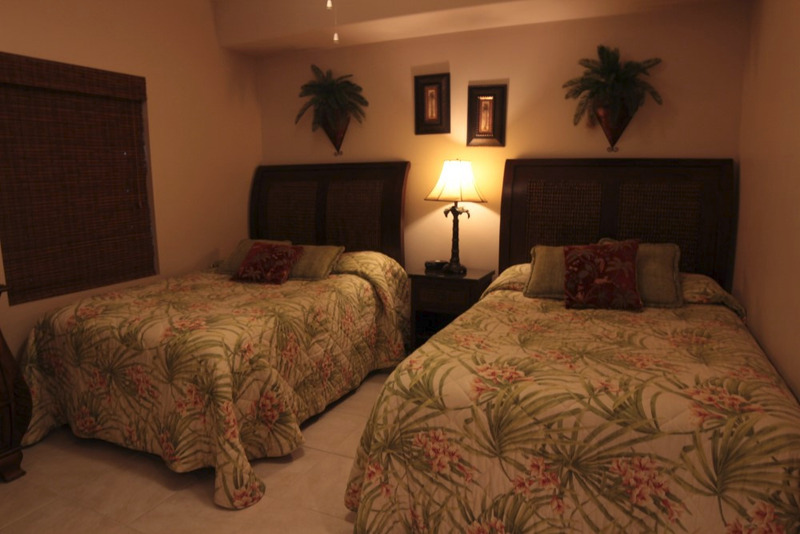 WiFi is available throughout the resort for your convenience. 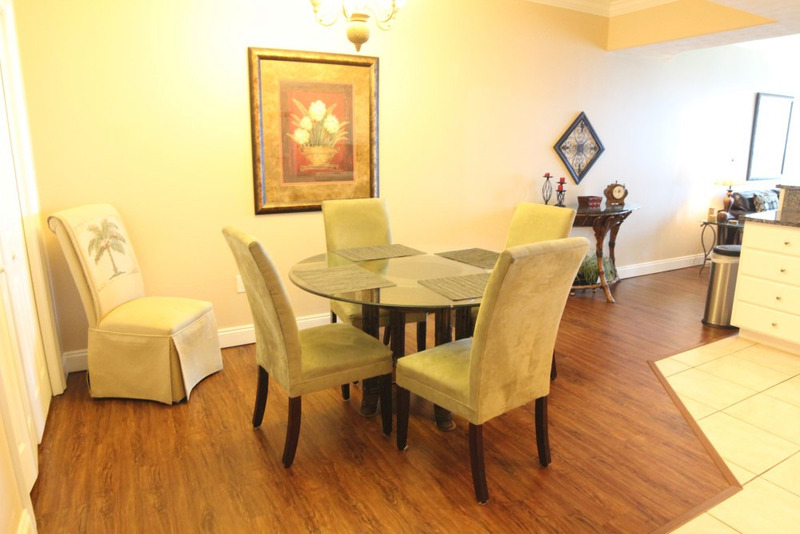 Units are available for daily, weekly and monthly rentals. 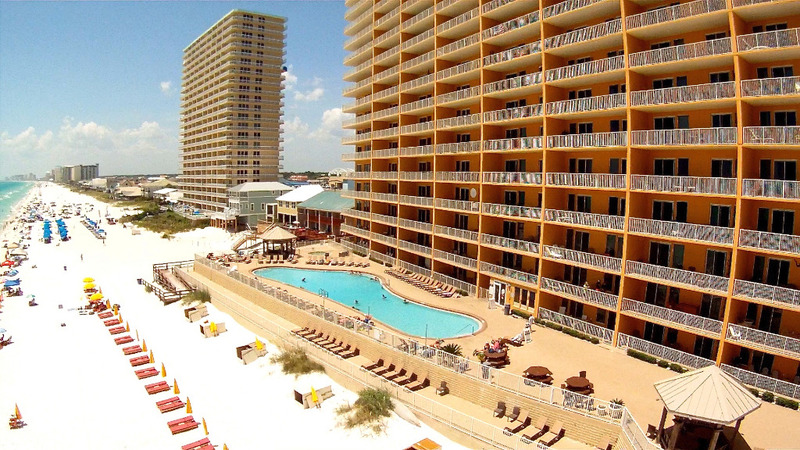 Security Deposit: 25% of your reservation total is required at booking. Balance is due 30 days prior to your arrival date. You will be required to purchase the $49.00 Damage Protection insurance. Each reservation is required to have a Damage Waiver, departure clean, Registration Fee, Property Armbands, and sales tax of 11.5%. Travel Guard Insurance is suggested, and encouraged, but not required. These Terms and Conditions clarify The Owner's obligations to The Renter, The Renter's obligations to The Owner, and in the very unlikely event of any disputes, will be used as the basis for any resolution. Please read them carefully before confirming your booking. Check-In: From 4:00 PM CT / Check-Out: By 10:00 AM CT (High Season Weekly Rentals) For Low Season Weekend and Mid-Week Rentals an earlier Check-In and later Check-out may be possible (usually in from 4:00 PM CT and out by 10:00 AM CT) Acceptance of these Terms & Conditions binds a contract between the following two parties: The Rental Applicant (The Renter) and Treasure Island Resort Rentals (The Owner) 1. Party Members All persons listed on the Rental Agreement or added subsequently by The Renter will be bound by the terms of this agreement. Occupancy of the property is restricted to those names listed on the Agreement or added subsequently by The Renter. The Rental Applicant is considered to be the Lead Renter and will assume full responsibility for all members of the Rental Group throughout the rental period. Information or instructions relating to this rental will be communicated to the Rental Applicant only and not to any third-party member of the Rental Group. 2. Payments A Reservation will be confirmed by The Owner once the application has been approved and initial or full payment has been processed. 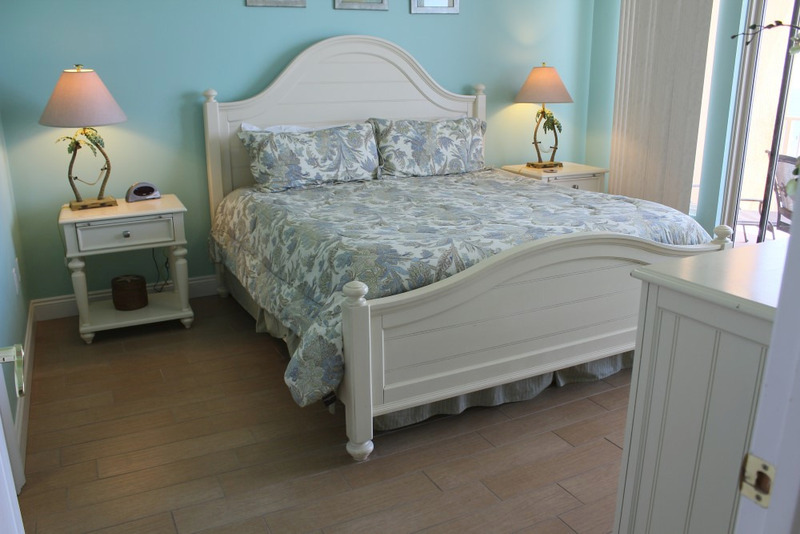 For reservations of one week or more, if the reservation is made 15 days or more before the rental commences, an initial rental advance payment of 25% of the rental fee will be due at the time of booking. If a reservation is made less than 15 days before the rental commences, or the reservation is less than a full week’s duration, the full rental fee must be paid at the time of booking. 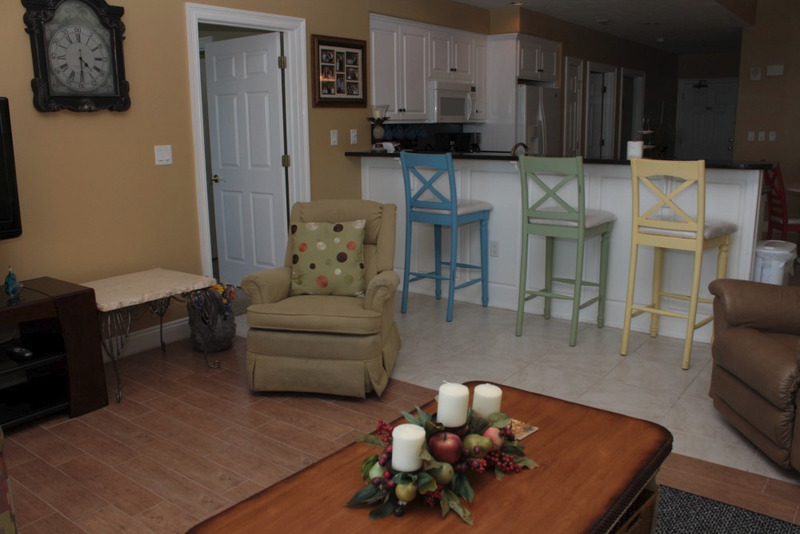 In the event of a reservation not being accepted by The Owner, all fees paid will be refunded immediately. Any booking made within 10 days of the start of the rental period must be paid in full by credit card, at the time of booking. No reservation may commence without full payment being cleared. All personal checks for final payment on monthly rentals must clear our bank 30 days prior to arrival. Once a reservation is received and accepted by The Owner, The Renter is liable for payment of the balance of the rental fee 15 days before occupation of the property. Non-payment by the due date will be treated as a cancellation and the deposit will be forfeited. Rates are subject to change. 3. Cancellation Policy & Changing a Booking Once a reservation has been accepted and confirmed, a cancellation can only be made in accordance with the terms below: If the period of rental can be re-booked, a refund for the period re-rented or the part thereof, less a cancellation fee of $99.00 will be issued. If any part of the rental period cannot be re-booked, the Renter will forfeit all monies paid for that period. It is recommended you purchase the Travel Guard Insurance. 4. Occupancy of the Property Regardless of the published maximum number of persons a property can accommodate, the number of guests occupying the Property is strictly limited to those named on the Rental Agreement or any subsequent amendment notified in writing to The Owner. 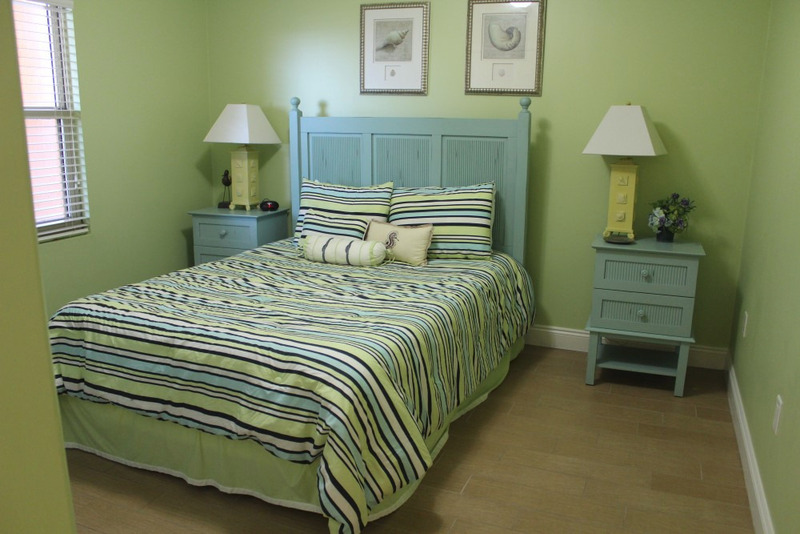 The stated and agreed occupancy figure includes all persons irrespective of age, day and overnight guests. Exceeding the number of stated and agreed persons will result in immediate eviction without refund. 5. Condition of the Property The Property will have been inspected prior to occupation and therefore The Renter undertakes to: Notify The Owner immediately with regard to any damage and/or maintenance issues that require attention. Keep the Property and all furniture, fixtures, fittings, chattels and effects in or about the Property in the same state of repair and condition as found at the commencement of the Rental. 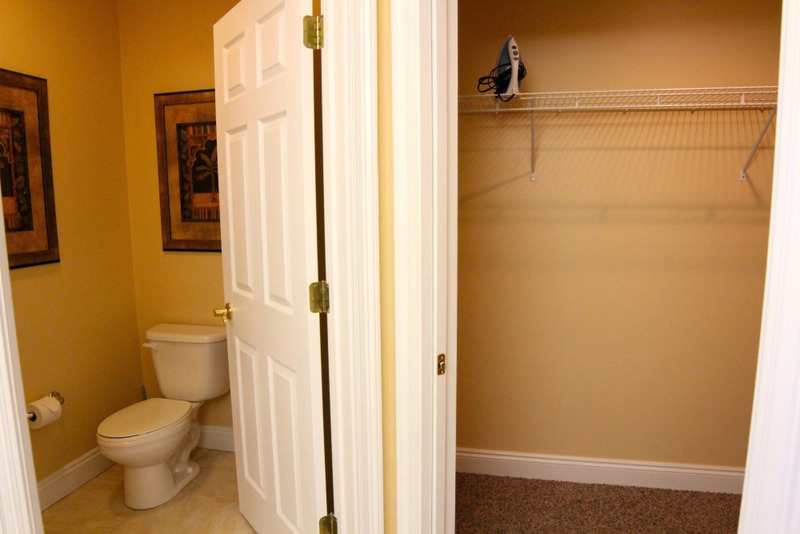 Where a cleaning service is provided; The Renter shall follow the departure instructions provided by The Owner. 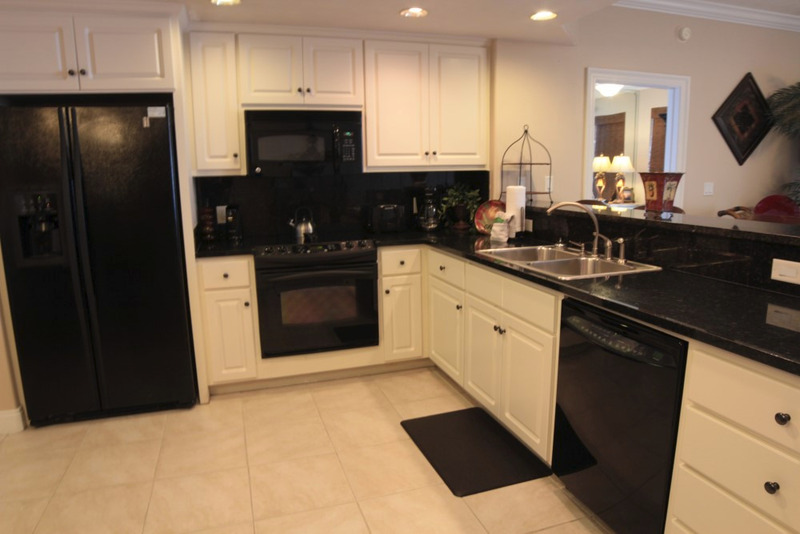 Where a cleaning service is not provided; The Renter shall leave the Property in the same state of cleanliness and general order in which it was found. Failure to do so to the satisfaction of The Owner will result in a damage/cleaning charge being levied. 6. Use of Telephone and Internet Services Where a telephone is provided as part of the rental, The Renter must charge all long-distance telephone calls to either a credit/phone card or call collect, unless advised otherwise. Where internet services are provided, there may be download restrictions and a charge may be levied if these are exceeded. It is The Renter's responsibility to check for restrictions on an internet device before commencing any download. 7. Pets One pet, per condo, is permitted, less than 30 lbs., in selected condos that are designated as pet friendly. All pets must be seen at the time of registration, and pay a $250 non-refundable pet registration fee to the Association. 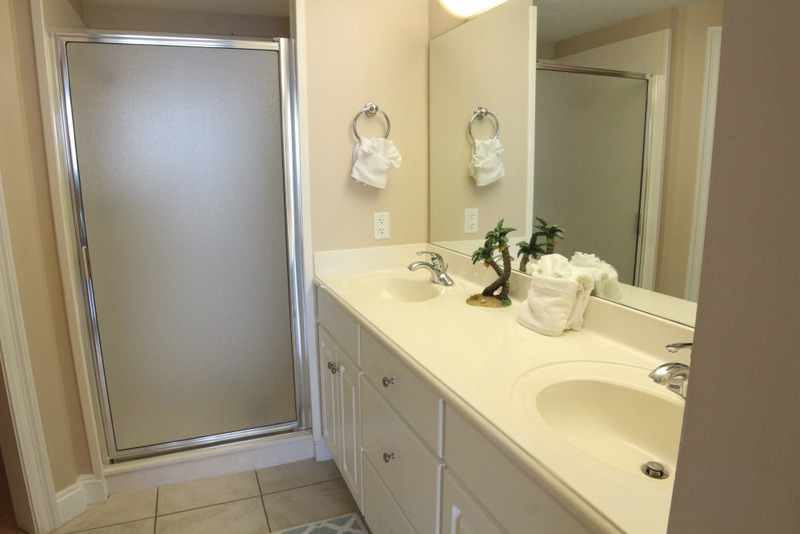 This is separate of a pet fee that may required for the interior of the condo for cleaning. All evidence of pet occupation must be removed from the Property and grounds at the end of the rental period. Pets are not permitted on any item of furniture, including beds, and evidence of pet hair on furniture and bedding may incur additional cleaning charges. Pets are strictly prohibited in certain properties. Any evidence of pet occupation will result in a forfeit of the damage deposit in its entirety. The Owner accepts no responsibility for any allergic reaction or other conditions arising from occupancy of the property. The designation of “No Pets” does not indicate there have not been pets at the property at some time. 8. Smoking Smoking is not permitted inside the condo, or around the immediate vicinity of the property entry doors. 9. Equipment and Facilities Provided Equipment and facilities are provided at the discretion of The Owner and while every attempt is made to ensure that such equipment is in working order for the duration of the rental period, should a breakdown or some other situation occur that renders non-essential element unusable, the Owner does not take responsibility for replacing or refunding The Renter for the lack of use of these equipment or facilities. The equipment and facilities referred to include (but are not exclusive to) such items as motors, televisions, VCRs/DVDs, pools and elevators. 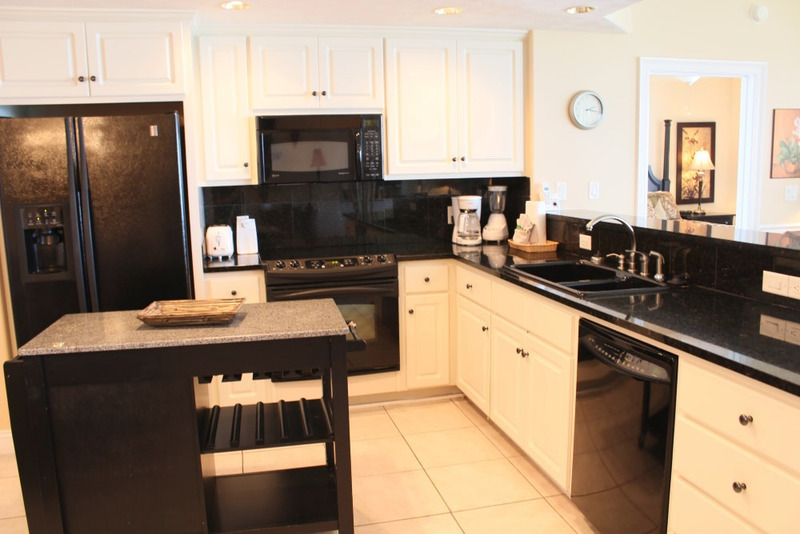 The Renter must report any inoperative or defective equipment to The Owner promptly! 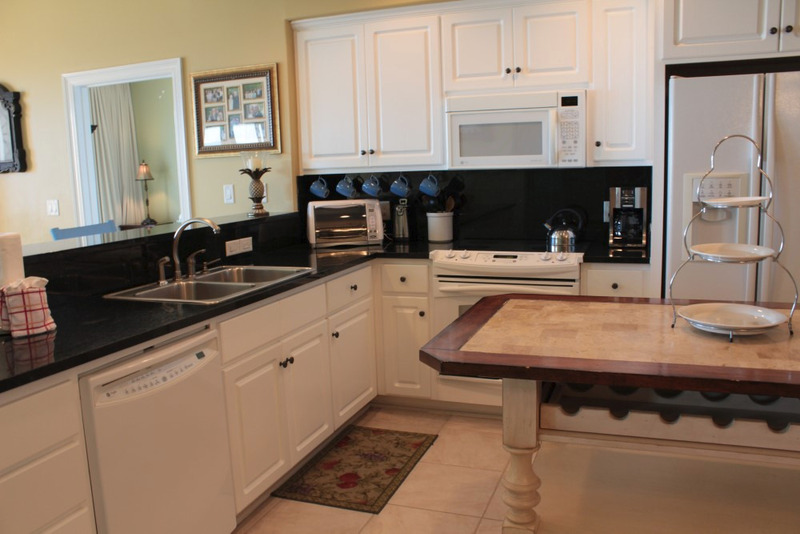 The Owner will make every reasonable effort to have repairs made as soon as possible; however, there are limited service contractors in Panama City Beach or Bay County. 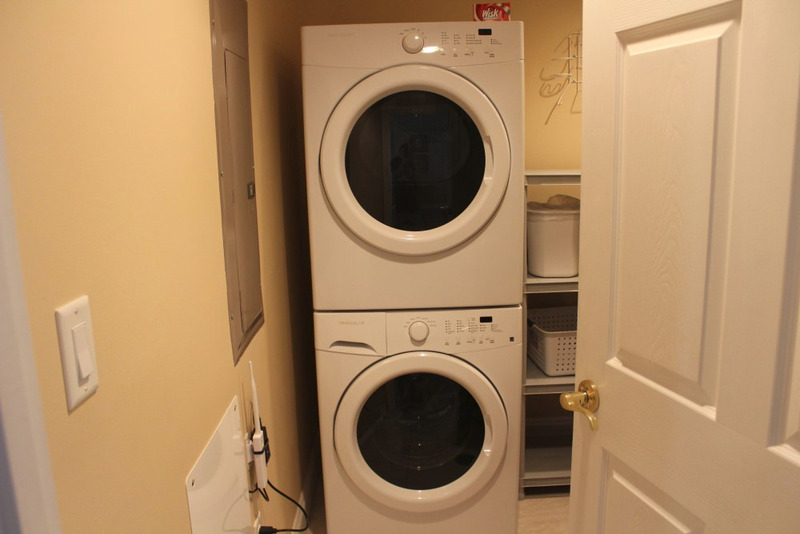 While every attempt will be made to ensure that all the advertised equipment and appliances are in working order at the commencement of a rental period, no reduction of rent; rebate; or refund will be issued for a mechanical failure of air conditioning, dishwasher, washer, dryer, TV or other appliances. 10. Refunds If a breakdown should occur to fundamental elements such as water systems, plumbing and electrical systems, and major appliances such as stove or refrigerator, every effort will be made to repair or replace, or an appropriate refund will be made for the inconvenience caused. This does not apply to system breakdown caused by misuse, such as plumbing blockages caused by inappropriate use of sanitary facilities. The Owner is not liable, nor will provide a refund, for any stoppage of electrical services caused by extreme weather or other circumstances beyond his control. Similarly, there will be no refunds for inclement weather, changes in water levels, conditions in the unit that could be considered normal wear and tear, conditions at neighboring properties, or any nuisance afforded by the natural elements of the location such as flying insects or the animal population. 11. 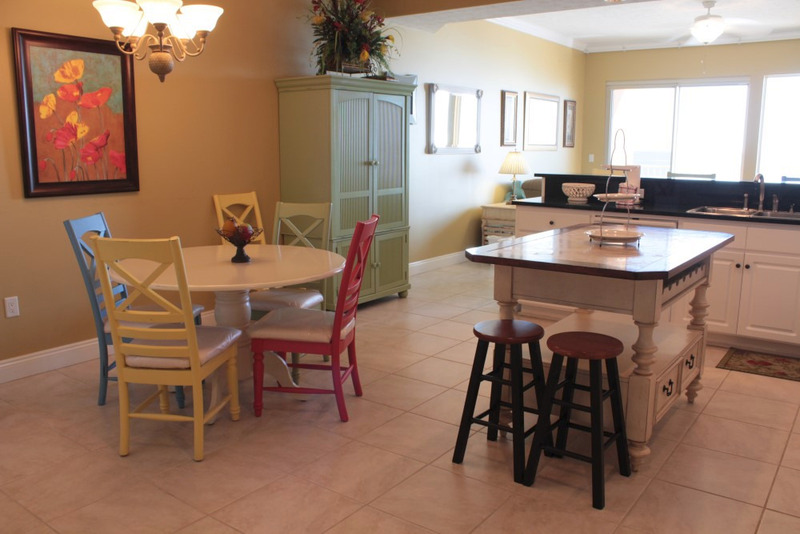 Other Conditions of Booking The Renter shall abide by these Terms and Conditions of Rental and any other instructions contained in the individual Cottage Guide and any additional information and instructions as shall be supplied in the Property or by The Owner. Hurricane Policy If Bay County Emergency Management Office has issued a Mandatory Evacuation for the Zone that the Property is located in, Owner will refund any unused nights. Owner recommends you purchase Travel Guard Insurance. Owner does not refund for inclement weather, or based upon weather forecast. LIMITATIONS OF LIABILITY: The Renter represents, warrants, acknowledges and agrees with The Owner that he/she will use the Property and its facilities in accordance with The Terms and Conditions above and the Information provided and that he/she does so at his/her own risk and that he/she indemnifies and saves The Owner harmless from any personal injury, sickness or death, loss or damage, however caused, to person or property of The Renter, his/her family, or guests, before during or after the time of occupancy.